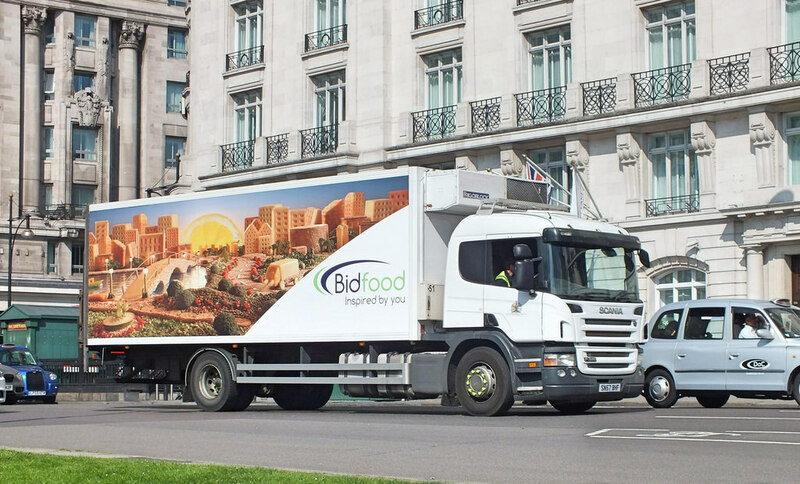 Bidcorp, the international foodservice specialist, reported good underlying constant currency results for the six months ended 31 December 2017. 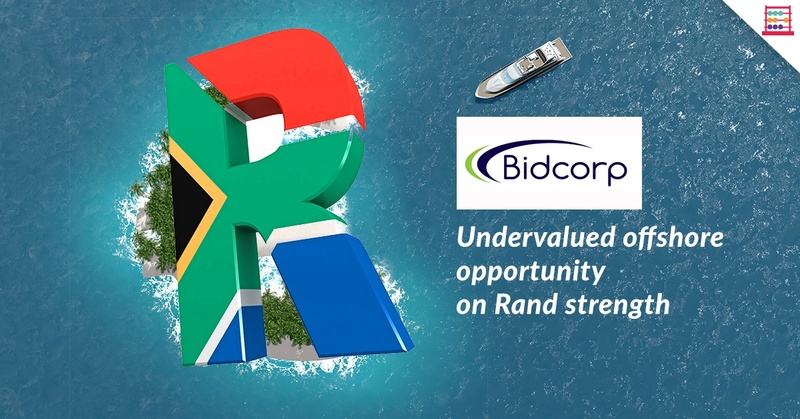 Whilst Bidcorp reports in rand around 90% of revenue is in a variety of international currencies. Therefore, the official rand numbers are a not particularly representative indicator of how the Group is doing. 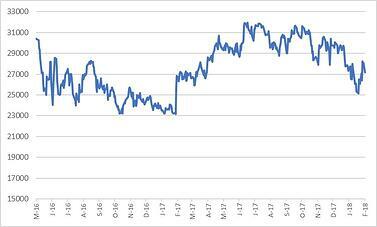 This is what would commonly be referred to as a rand hedge but which I often remind investors can also be a “rand haircut”, as we see in recent weeks with the rand appreciating and the Bidcorp share price weakening. Arguably, the stock was a bit rich post unbundling from Bidvest but was oversold at below R250. Current levels are a good buy for patient investors looking for exposure to a company whose management think long-term and deliver reliable cash flows and earnings. On a DCF valuation methodology, I derive fair value of R300 per share whilst on a sum-of-the-parts basis I derive R310 per share. A Trading Buy and a Portfolio Buy. As is typical, no surprises for the six months ended 31 December 2017, just a dependable result. The best measure is constant currency, and, on this measure, revenue is up 8,3% to R61,6 billion, trading profit is up 9,4% to R3,0 billion, and headline earnings grew by 8,8% to R2,1 billion with EPS 8,7% higher at 840,7 cents. The dividend is increased by 12% to 280 cents with the cover at 2,3x. The UK Logistics business is now stripped out as discontinued as it is being slimmed down with the balance subject to potential sale. This eliminates a large turnover, minimal margin business that is not in line with Group strategy. Due to UK Logistics being categorised as discontinued, there is an immediate margin uplift compared with previous reported number, now 4,9% versus 4,1%. There is further scope for margins to edge up and 5,5% is not unreasonable medium term given the mix of business. Expenses remain well controlled with a like-for-like rise of only 3,6%. The Group is this becoming more efficient even in the face of wage pressure and slightly higher food inflation in some territories. Reinvestment is strong, with capex of R1 billion, ahead of depreciation of R0,6 billion, with robust cash flows and substantial headroom for borrowing allowing for this. Cash generated is almost 100% of EBITDA before working capital. Whilst working capital increased by 48% this is a typical feature, as cash is absorbed in the first half and released in the second half. There was also a shift in business mix, higher activity, and acquisitions that accounted for some of the increase. Whilst some geographies experienced macro challenges, including dairy pricing impacts, the Group has successfully mitigated the worst of this. The UK business, for example, continues to confound Brexit sceptics. 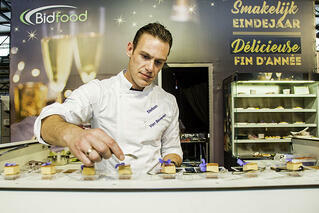 South Africa returned an excellent result, again defying sceptics. The strategy in Australia is to disrupt from within, investing for future return in smaller, more urban focused facilities that are quicker to respond to changing customer requirements. Bidcorp is in an area showing real growth internationally and which does not experience the disruption we are seeing in bricks and mortar retail from the likes of Amazon. Foodservice has relative defensiveness and as several Bidcorp geographies, such as China, Eastern Europe, and China develop, so too does purchasing power rise and spend on eating out. The recent weakness in the share price is a great opportunity for new money. You can buy a proven international business that operates in a variety of currencies, thus diversifying your currency risk. Check out South African Political Tailwind by Mark Ingham.